Data masking offers the ability to de-identify sensitive data to protect it from internal misuse or exposure in the event of a data security breach. As a pioneer of format-preserving encryption (FPE) and secure stateless tokenization (SST), Voltage enables industry-proven data masking protection, without losing application usability for analytics, business optimization and similar value creation, while accelerating compliance with privacy mandates, including PCI and GDPR. With attacks on enterprise data increasing, is your data protected throughout its lifecycle? 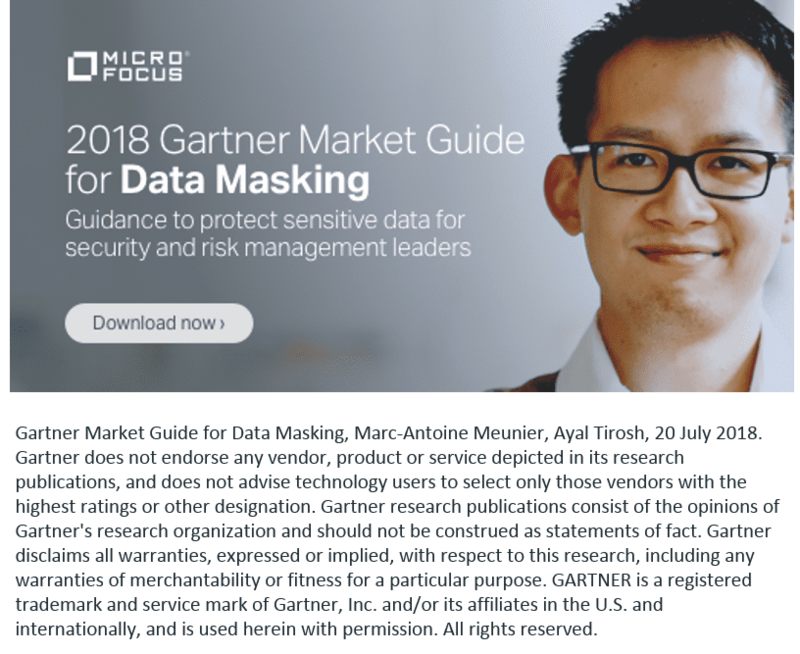 Read the July 2018 Gartner Market Guide for Data Masking for more insights into how to protect your most valuable asset! The evolution of threat and compliance environments — in particular, privacy regulations — continues to fuel demand for data-masking products. This demand is further sustained by data growth and the expanded use of data analytics. The risks of unmasking or re-identification in masked datasets are increasingly a concern, as organizations build complex big data environments. More organizations have become subject to regulations, such as GDPR, which require assessment of those risks. DM is available in an increasingly broad array of deployment options to address data management and application architectures where traditional DM approaches have struggled.